That snow family is awesome! OMG that snow family is amazing. LMAO. I thought the same. He actually smiled a bunch – I just didn’t get it on camera. 🙂 His face was cold from eating snow when I took these pics! I was thinking about you the other day and wondered if you had gotten snow. Oh my, that snow family is the best!! I love Charlie’s hair. Haha! And Harvey’s face is priceless! Glad to hear that he actually did like it. I am really hoping for a good snow while in StL for the holidays!! I can’t believe he’s walking already!! How is he old enough already?! We got our first dusting of snow over the weekend and Chloe wanted so badly to go out and play in it. I have a feeling it’s going to be hard to keep them inside once the real snow hits. It’s fun for about 10 minutes for me, but the hour it takes to get them bundled up is exhausting! 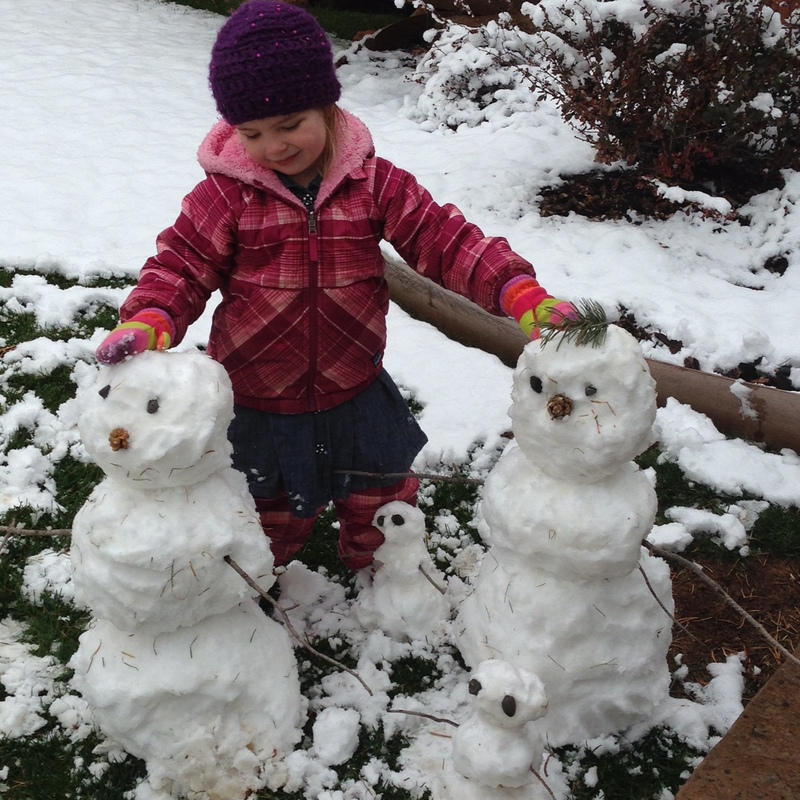 Those are the cutest snowpeople ever!